“SOIL’s initiative has the potential to vastly expand sanitation access in an affordable, sustainable way, while creating new jobs and livelihoods. Its model not only prevents further harm to the environment, it actively restores soil health through compost generation – reducing food insecurity, erosion, mudslides, and flooding in the process. 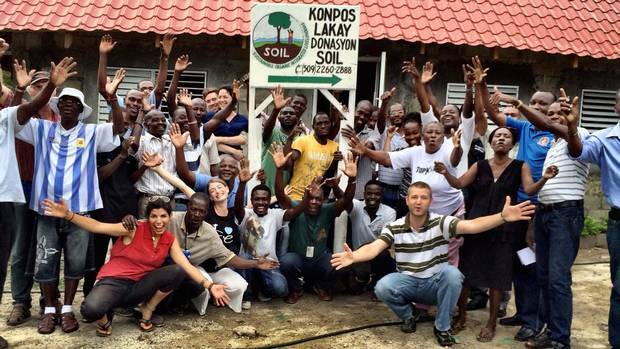 SOIL strives to inspire a shift to a more ecological and equitable sanitation solution globally while working every day to increase national access to sanitation in Haiti.” – Jon Hera, The Globe and Mail, November 14, 2014. Read the full article. No Replies to "The Globe and Mail: How an Exam Question Inspired This Social Entrepreneur"